The disc extends from the lower-left to the upper-right and the central grey region shows where the star was masked out. Credit: ESO/E. Sissa et al. 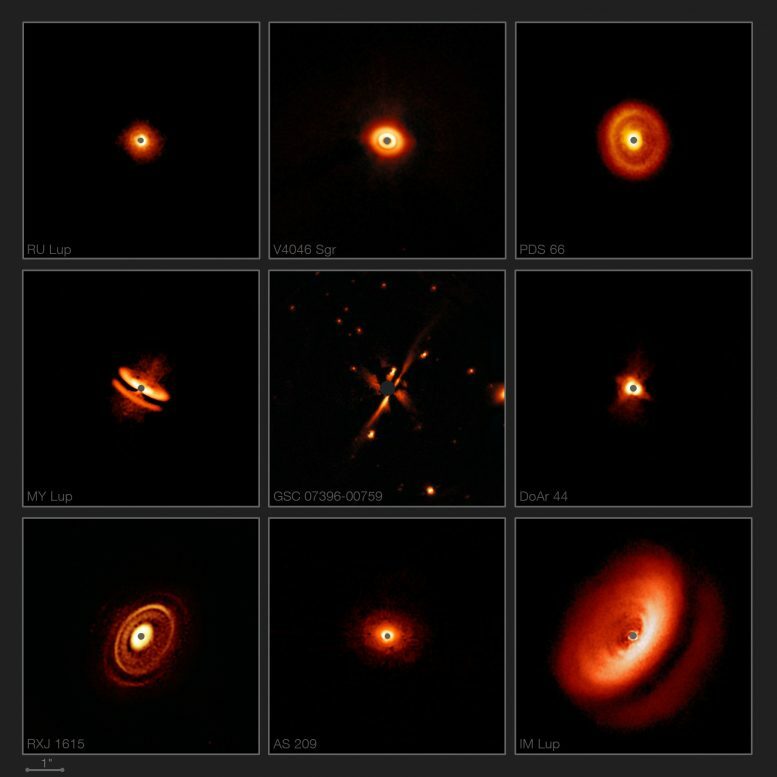 Most of the images presented were obtained as part of the DARTTS-S (Discs ARound T Tauri Stars with SPHERE) survey. The distances of the targets ranged from 230 to 550 light-years away from Earth. For comparison, the Milky Way is roughly 100,000 light-years across, so these stars are, relatively speaking, very close to Earth. 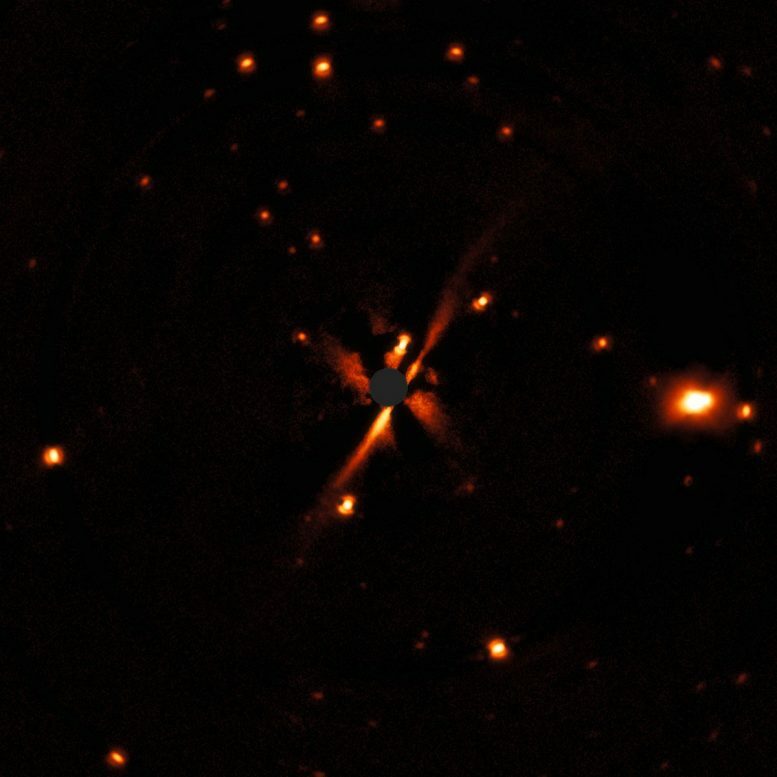 But even at this distance, it is very challenging to obtain good images of the faint reflected light from discs, since they are outshone by the dazzling light of their parent stars. 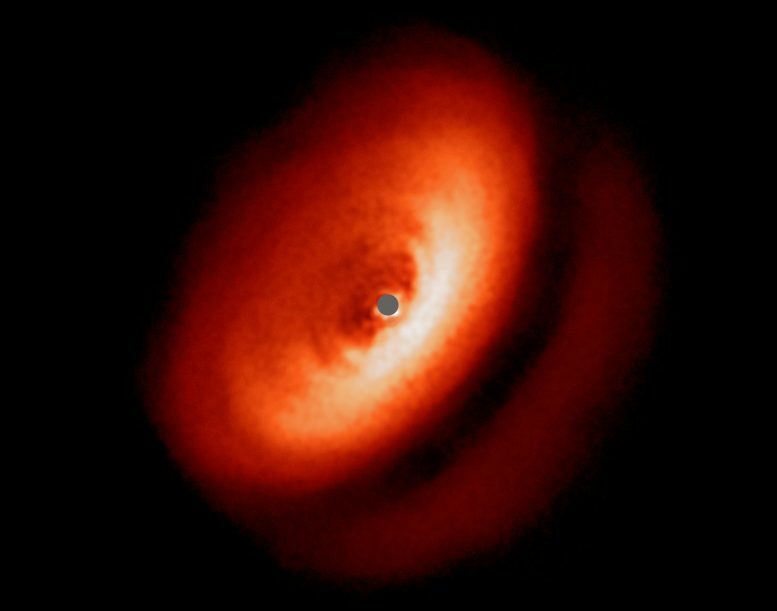 Be the first to comment on "Astronomers Discover Fascinating Discs Around Young Stars"